The AFL has confirmed the AFL Women's Draft will be held on October 23 at Marvel Stadium in Melbourne. All 10 teams will take part, with expansion sides Geelong and North Melbourne drafting for the first time. The Cats and the Kangaroos still have until August 31 to sign unlisted players, with the final draft order confirmed after that deadline. 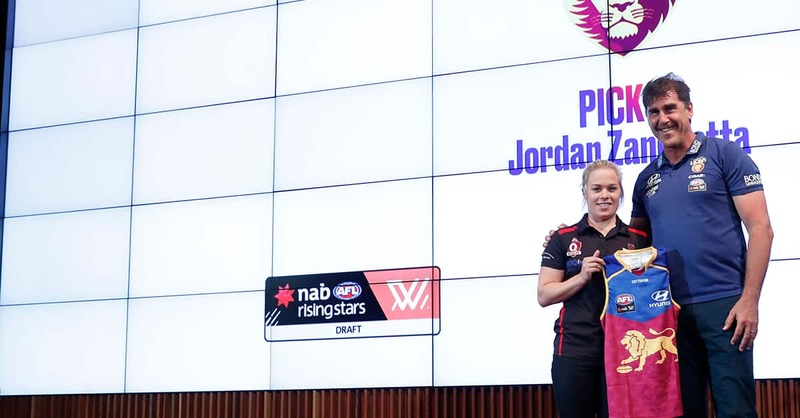 "Two players selected in the first round of the 2017 draft went on to make an immediate impact on the game," AFL head of women's football Nicole Livingstone said. "Collingwood's Chloe Molloy was the 2018 AFLW Rising Star, while the Western Bulldogs' Monique Conti was best on ground in the Grand Final. "The standard of the recent AFLW Under-18 Championships was very high, and I can't wait to see the best young talent playing in the AFLW next year," she said. The AFLW under-18 All Australian squad will play a match on August 31 at Adelaide Oval. The match will be a curtain-raiser to the EJ Whitten Legends game. The All Australian team will be named after the match. The AFLW Combine will be held at Marvel Stadium from October 2-3, with 36 young players invited. There will be no AFLW rookie draft this year, with clubs instead able to sign up to three players who have not played football in three years (prior to May 1 this year), or have not been involved in a high-performance AFLW program. The rookie signing period closes September 28. The draft will be streamed live on AFL.com.au, the AFL Live app and the AFLW app.